Courts • San Diego and Salt Lake pop culture conventions continue to spar over trademark infringement claim. 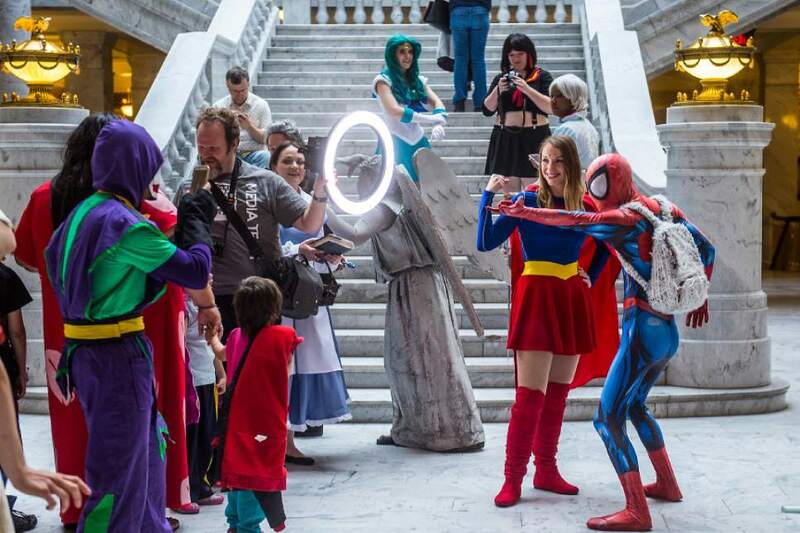 Chris Detrick | The Salt Lake Tribune Cosplayers pose for photos during a press conference for Salt Lake Comic Con at the Utah State Capitol Wednesday, May 17, 2017. 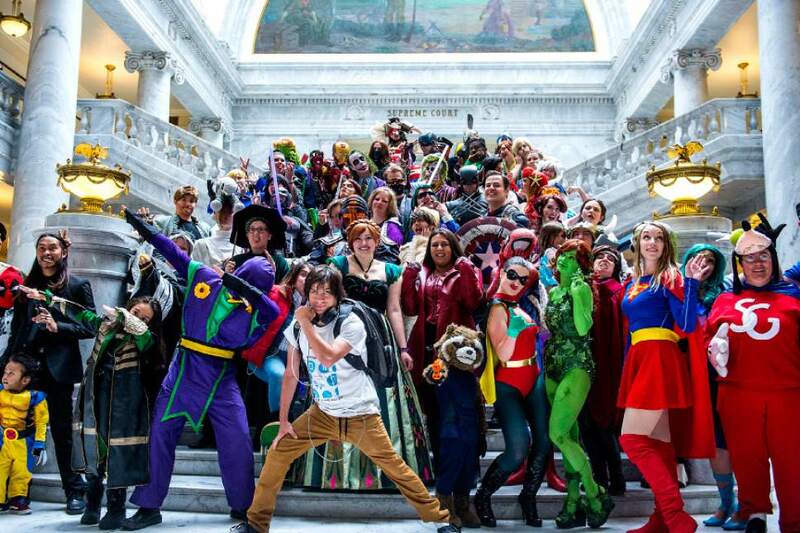 Chris Detrick | The Salt Lake Tribune Cosplayers pose for photos during a press conference for Salt Lake Comic Con at the Utah State Capitol Wednesday, May 17, 2017. 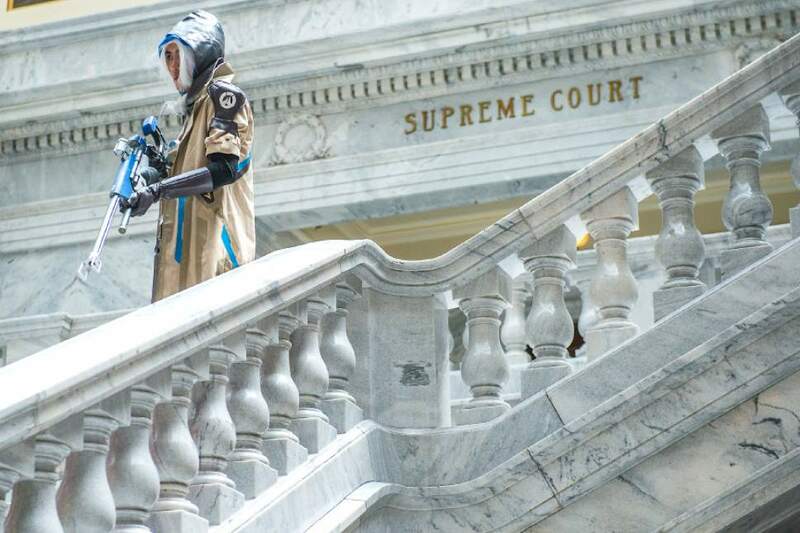 Chris Detrick | The Salt Lake Tribune Cosplayers pose for photos during a press conference for Salt Lake Comic Con at the Utah State Capitol Wednesday, May 17, 2017. 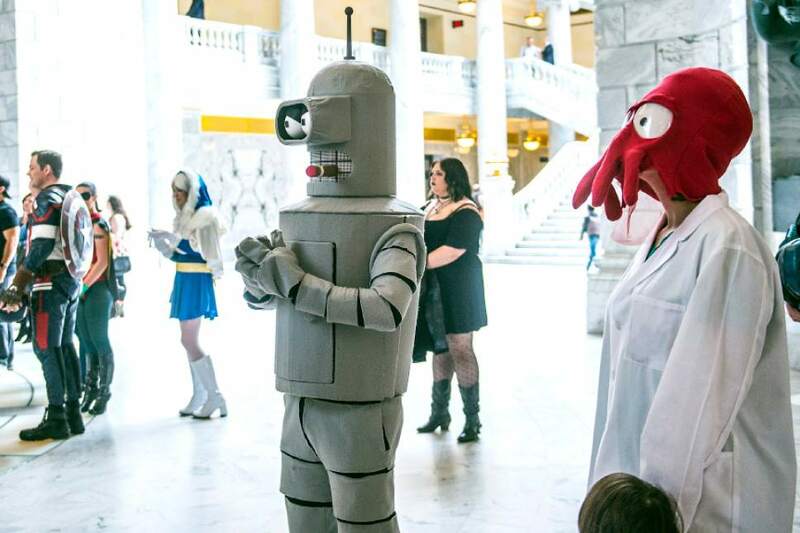 Chris Detrick | The Salt Lake Tribune Cosplayers pose for photos during a press conference for Salt Lake Comic Con at the Utah State Capitol Wednesday, May 17, 2017. Chris Detrick | The Salt Lake Tribune Cosplayers pose for photos during a press conference for Salt Lake Comic Con at the Utah State Capitol Wednesday, May 17, 2017. Chris Detrick | The Salt Lake Tribune Cosplayers listen during a press conference for Salt Lake Comic Con at the Utah State Capitol Wednesday, May 17, 2017. 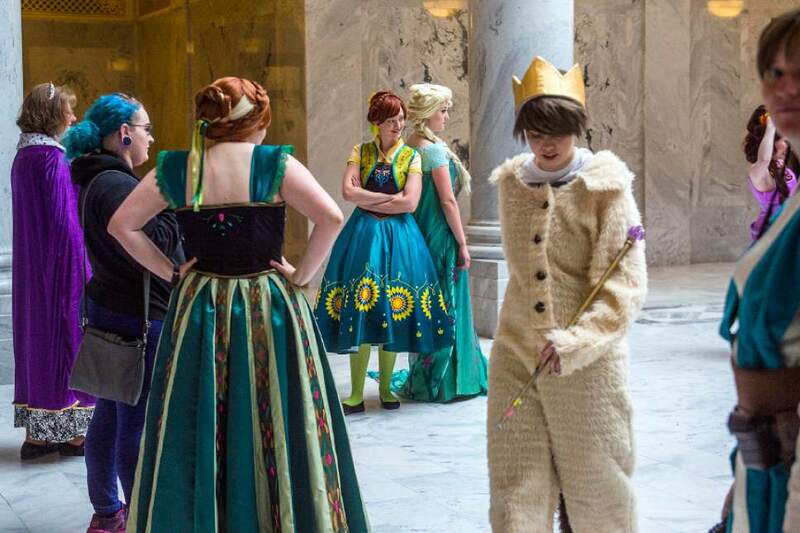 Chris Detrick | The Salt Lake Tribune Cosplayers listen during a press conference for Salt Lake Comic Con at the Utah State Capitol Wednesday, May 17, 2017. 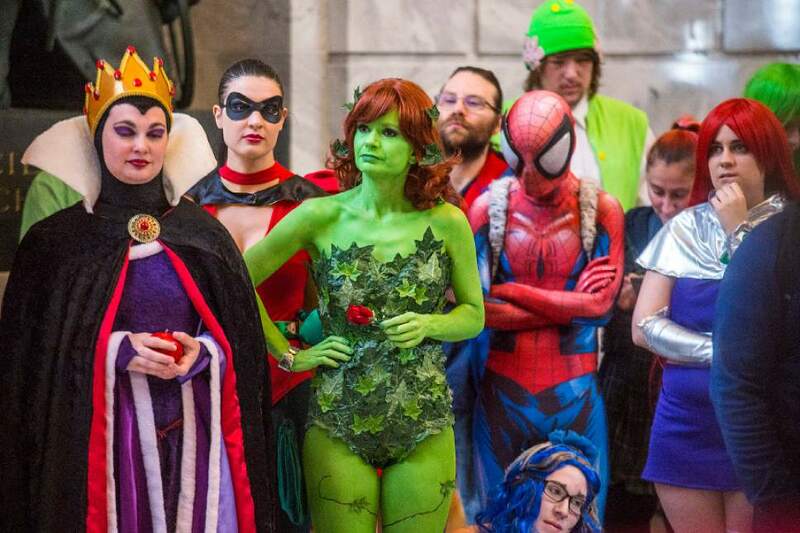 Chris Detrick | The Salt Lake Tribune Cosplayers listen during a press conference for Salt Lake Comic Con at the Utah State Capitol Wednesday, May 17, 2017. 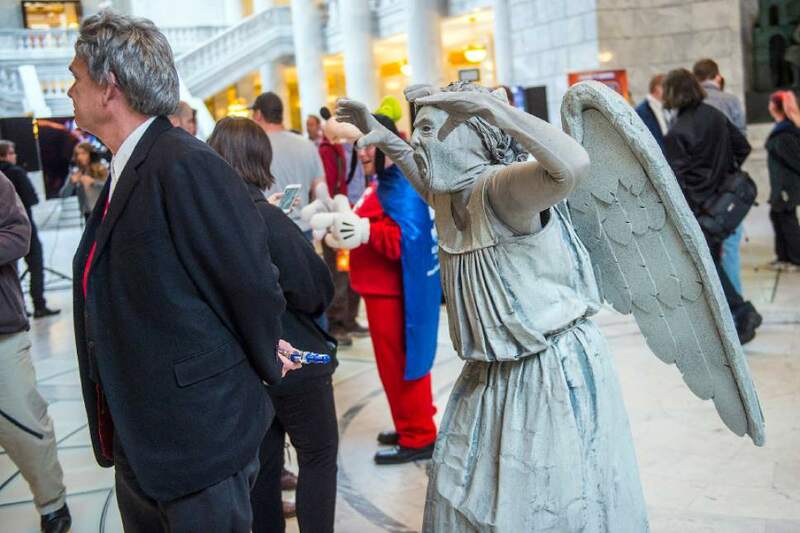 Chris Detrick | The Salt Lake Tribune Cosplayers pose for photos during a press conference for Salt Lake Comic Con at the Utah State Capitol Wednesday, May 17, 2017. Chris Detrick | The Salt Lake Tribune Cosplayers listen during a press conference for Salt Lake Comic Con at the Utah State Capitol Wednesday, May 17, 2017. Chris Detrick | The Salt Lake Tribune Cosplayers pose for photos during a press conference for Salt Lake Comic Con at the Utah State Capitol Wednesday, May 17, 2017. Chris Detrick | The Salt Lake Tribune Cosplayers pose for photos during a press conference for Salt Lake Comic Con at the Utah State Capitol Wednesday, May 17, 2017. 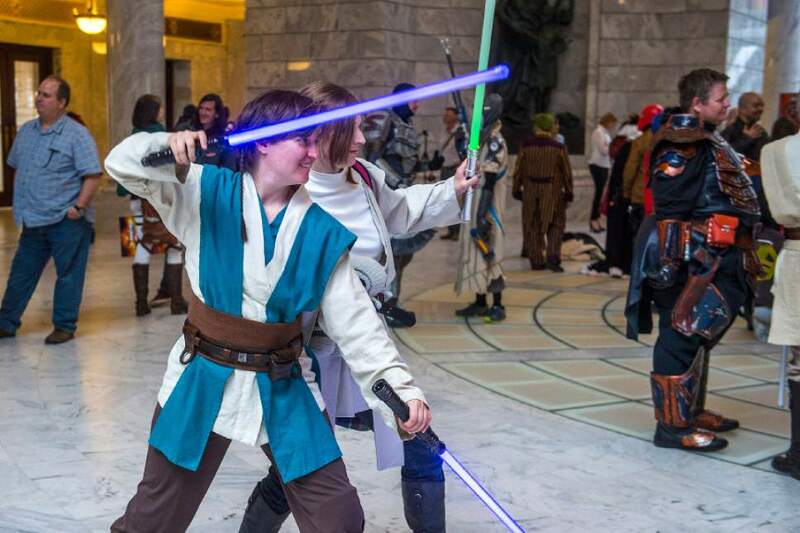 Chris Detrick | The Salt Lake Tribune Cosplayers pose for photos during a press conference for Salt Lake Comic Con at the Utah State Capitol Wednesday, May 17, 2017. 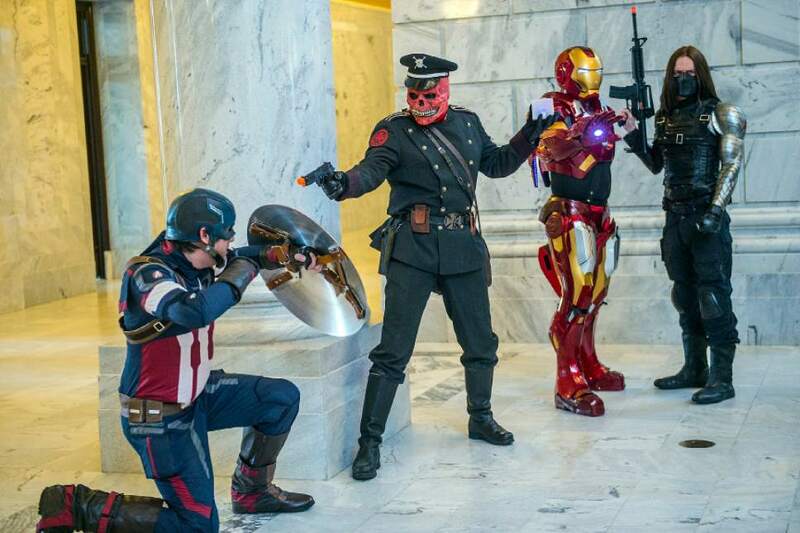 Chris Detrick | The Salt Lake Tribune Cosplayers pose for photos during a press conference for Salt Lake Comic Con at the Utah State Capitol Wednesday, May 17, 2017. 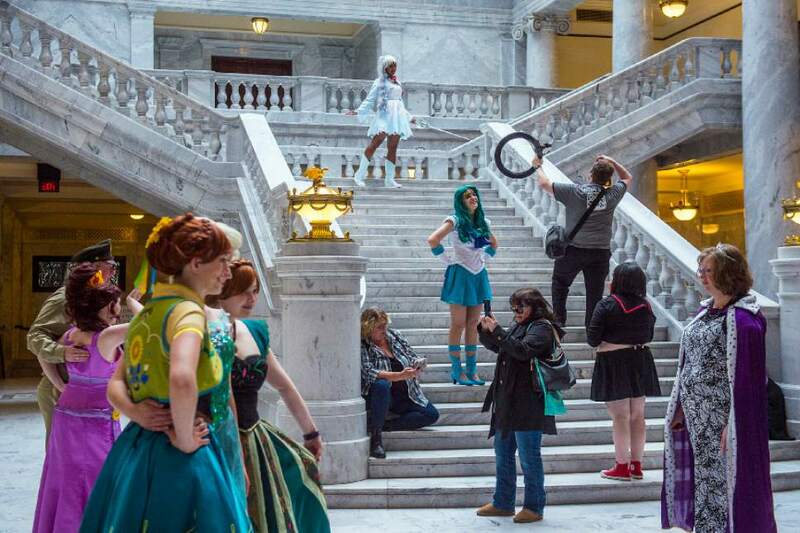 Chris Detrick | The Salt Lake Tribune Cosplayers pose for photos during a press conference for Salt Lake Comic Con at the Utah State Capitol Wednesday, May 17, 2017. 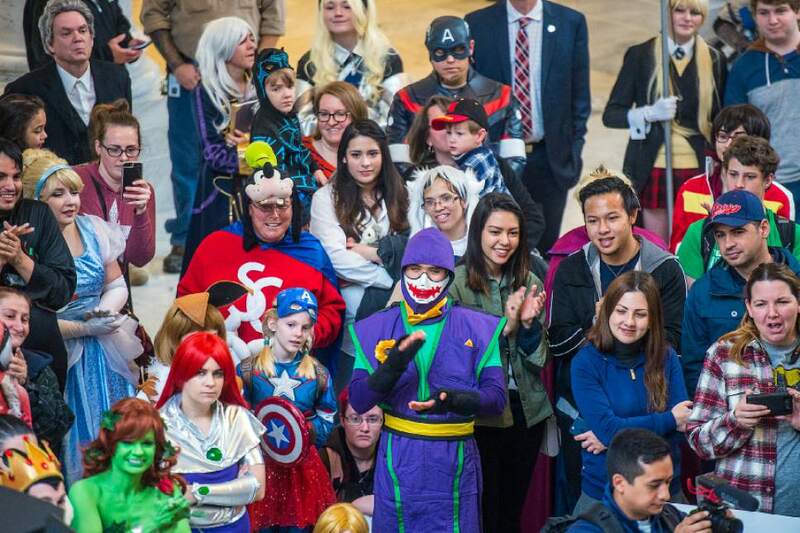 Nearly three years after San Diego Comic-Con filed suit accusing Salt Lake Comic Con of trademark infringement over their similar names, the two sides still are at an impasse. A settlement conference scheduled for June 15 was canceled. Each side recently filed motions asking a federal judge in San Diego to enter judgment in their favor in the long-running dispute. 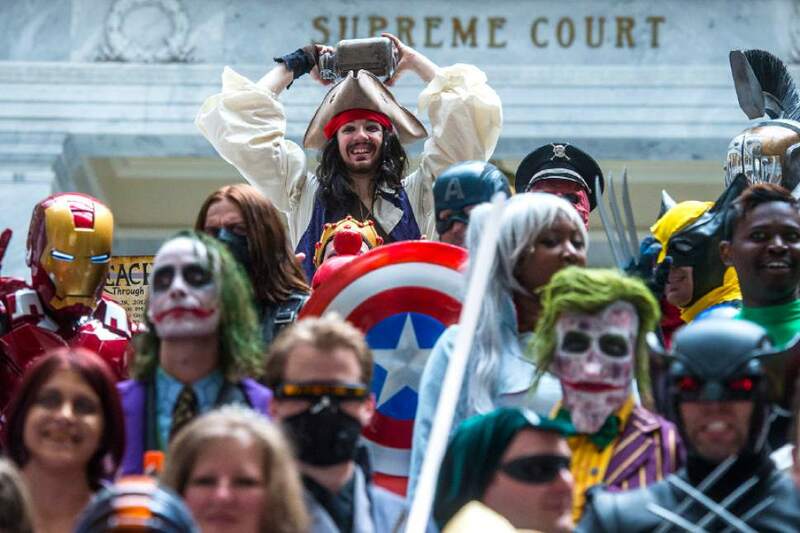 Dan Farr, a co-founder of Salt Lake Comic Con, said Monday he respects San Diego Comic-Con but feels confident his company would win at trial. He hopes the dispute can be resolved outside court. 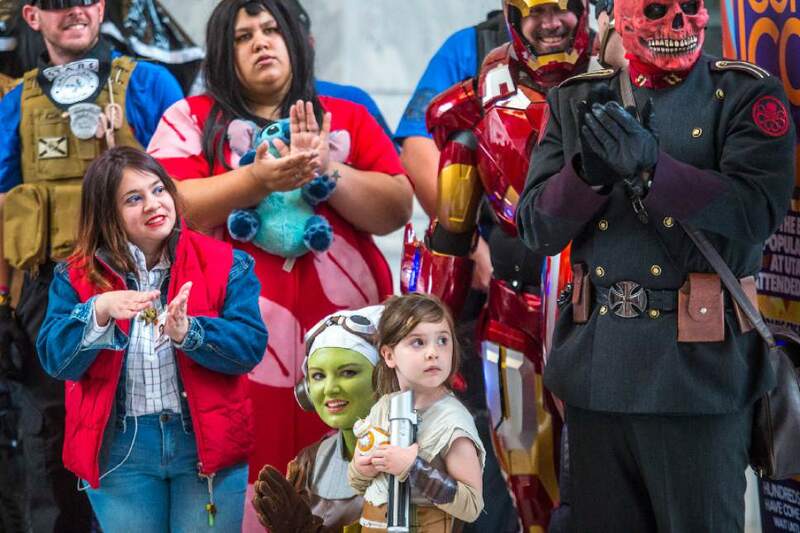 "We remain hopeful that a settlement may still be reached, or that a preliminary judgment will be made in the favor of comic con fans and comic con promoters around the world," Farr said in a news release. The two companies organize conventions and events that celebrate comics and comic books, science fiction and fantasy films and TV shows, graphic arts and other aspects of popular culture. San Diego Comic-Con filed suit on Aug. 7, 2014, alleging the use of "comic con" in the Salt Lake company&apos;s name infringes on its trademark and confuses the public into thinking the two conventions are linked. 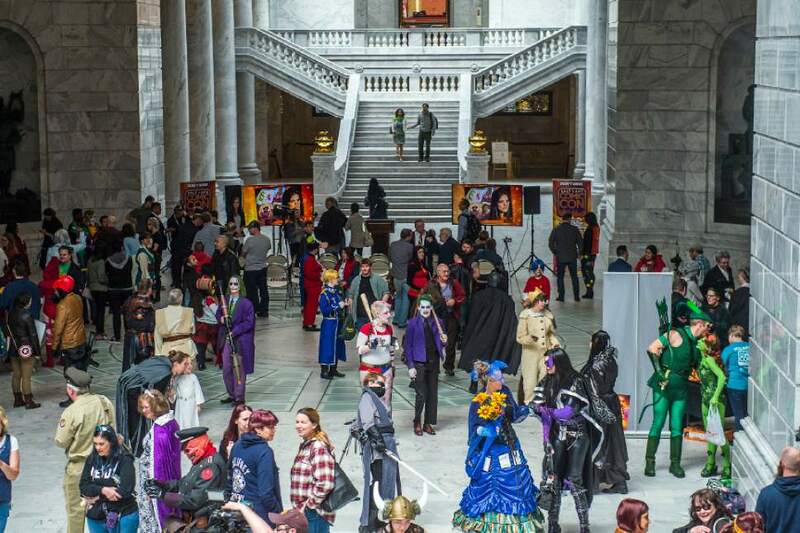 The suit seeks monetary damages and an injunction barring Salt Lake from using the term "comic con" for any event, logo, trademark or website. 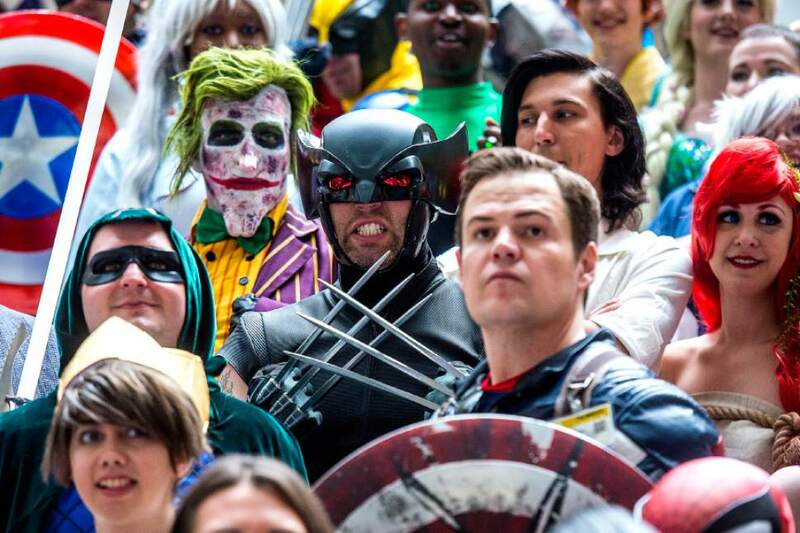 Salt Lake Comic Con  which says "comic con" is a generic term that has been used by hundreds of comic cons around the country and the world during the past 50 years  has filed counterclaims seeking cancellation of San Diego Comic-Con&apos;s trademarks. The Salt Lake convention was granted a trademark on its name two years ago by the U.S. Patent and Trademark Office but lawyers for the San Diego convention said they want to cancel that trademark with administrative litigation. San Diego Comic-Con said in a court filing last week that Salt Lake has "no evidence regarding the primary significance of SDCC&apos;s trademarks in the mind of the relevant public and thus, as a matter of law, cannot establish that the marks are generic." The Salt Lake convention is slated for Sept. 21-23 this year. The celebrity guests who are scheduled to appear at the fan event at the Salt Palace Convention Center include John Cusack, Val Kilmer, Christopher Lloyd and Wil Wheaton. San Diego Comic-Con International is set for July 20-23, with a July 19 preview night, at the San Diego Convention Center. Scheduled guests include Stan Lee, Seth MacFarlane, Matt Groening and Conan O&apos;Brien, who will record his TBS talk show there.